On February 16, 2016, the Fourth Circuit Court of Appeals issued its published opinion in the criminal case, United States v. McLaughlin. Judge Wilkinson, writing for a unanimous panel, dismissed McLaughlin’s appeal. The panel used a published opinion to clarify which types of appeals fall within the perimeters of a plea bargain which waives the right to appeal a sentencing guideline range established at sentencing. At her plea hearing, McLaughlin verbally indicated that she understood that she retained only the right to appeal based on an upward departure of the sentencing. To calculate McLaughlin’s sentence, the judge used the “four-level role-in-the-offense enhancement” found in the United States Sentencing Guidelines at U.S.S.G. § 3B1.1(a) (the “role increase”). The provision provides for a four-level increase in the offense level “[i]f the defendant was an organizer or leader of a criminal activity that involved five or more participants or was otherwise extensive….” The role increase resulted in a guideline imprisonment of fifteen to twenty-one months. The District Court then cited U.S.S.G. § 4A1.3(a)(1) to impose an upward departure sentence of twenty-seven months to reflect there seriousness of the defendant’s criminal history (the “recidivism departure”). 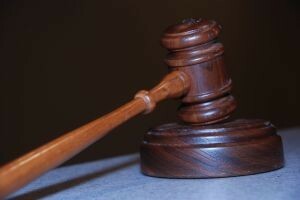 On appeal from the Eastern District of North Carolina, McLaughlin criticized the use of the role increase in calculating her sentence. Citing her plea agreement, the United States moved to dismiss, arguing that the calculation of the role increase was a part of the “establishment of her advisory Guideline range” and thus, was waived in her plea agreement. McLaughlin in turn argued that since she did in fact receive an upward departure, she was free to appeal any part of her sentence. Counsel for McLaughlin did not appeal the recidivism departure. Judge Wilkinson next addressed McLaughlin’s contention that the agreement was ambiguous and should be construed in her favor to allow the appeal. However, the court found the meaning of the agreement clear in its prohibition of such an appeal, and the allowance of an appeal based on an upward departure. Finally, the panel questioned the appeal’s propriety in light of the existence of the available grounds, the recidivism departure. Although not mentioned by the court in this case, had McLaughlin appealed, the Fourth Circuit has previously explained that it would have “consider[ed] whether the sentencing court acted reasonably both with respect to its decision to impose such a sentence and with respect to the extent of the divergence from the sentencing range.” United States v. Harnandez-Villanueva. However, as the court noted, this issue was not before the court. 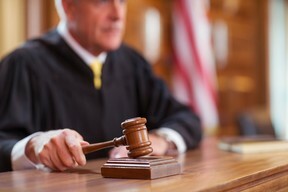 The court applied principles of contract interpretation to the interpretation of the plea agreement to find that it prohibited the appeal based on the role increase. The Fourth Circuit therefore found that McLaughlin waived her right to appeal the role increase and dismissed the appeal.